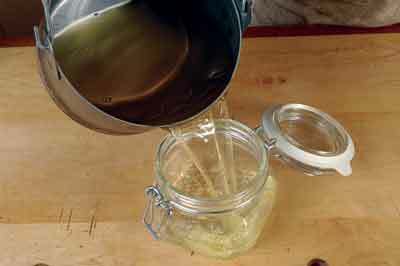 We first covered the subject of making your own wax polish back in issue 189 with Yannick Chastang. He kindly gave away recipes for three different blends of wax suitable for a variety of applications. I've been promoting these recipes ever since in subsequent articles and as a little addendum to French polishing classes. Without fail, the little tub of wax the students take home is the highlight of the course and the shared secret they will use to score points around the dinner table in future is an added bonus. I can see the attraction; a concoction of natural aromatic ingredients blended in a cauldron and decanted into glass jars. It's all very traditional and wholesome. But beyond the romantic idealism it's also a process that makes for more predictable results than shop-bought products because you know exactly what's in the tin. 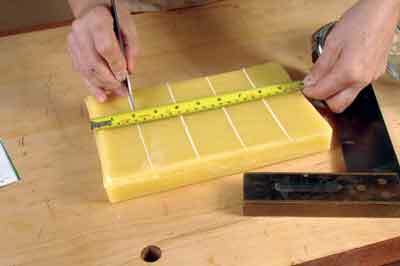 Beeswax has a long association with the finishing of wood. Combined with other ingredients it offers a level of protection from dirt and moisture and when buffed adds shine to the surface. Adjusting the ingredients and the ratio in which they are used alters the properties of the blend. The possibilities are endless if you decide to colour your wax, so, as a long overdue part two to our original article, we will look at how you can do this and other things to get a range of home brew wax polishes to suit all your needs. A blend of wax polish will require three main ingredients; a soft wax for ease of application, a hard wax for shine and a solvent to dissolve the waxes and make them into a paste. 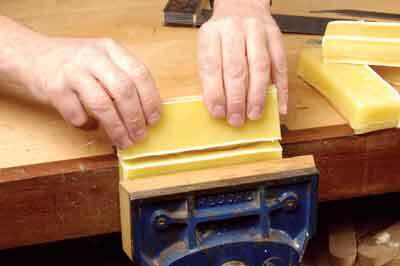 Beeswax on its own remains relatively soft and sticky so it needs to be blended with a harder wax, the most common being carnauba. Compared to beeswax where you can usually press a fingernail into it, carnauba is almost glass hard. It needs to be added in moderation if you are to avoid blending a paste that is too stiff to apply. Having said that, using a cloth moistened with the solvent will typically overcome this problem and used in the same way as a polishing rubber you can straighten out any clumps of wax that build up during the process of application. The high level of turpentine and beeswax in this blend makes it a very strong smelling mix. Most people seem to like it and it's good for using on the insides of drawers or cabinet work. 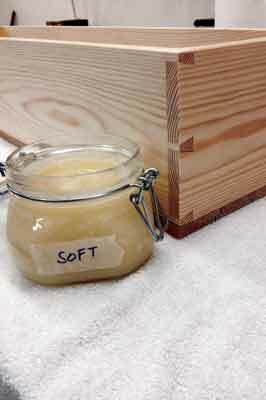 There's a high level of solvent compared to solids so it's really only suited for use on bare wood. It spreads very easily but also dries quite quickly as the solvent is quickly absorbed into the timber. This blend is for use on a prefinished surface and will offer some slight protection against the ingress of dirt and grime. It will not buff to a high shine so is good for achieving a muted lustre on new work or old patina on a period piece. This blend is the closest to any of the shop-bought products, only better. This wax can be buffed to a high shine so is good for showing off accents particularly under good lighting. 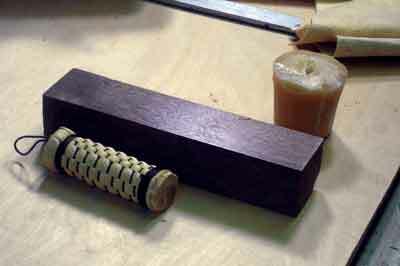 It needs to be applied over an existing finish and may have to be applied with a solvent-impregnated cloth or rubber. Buffing with a rotary machine will really add shine to your finish, though avoid overheating the polish beneath. When it comes to blending your own wax, or shellac polish for that matter, there is often much emphasis placed on the quantities of each ingredient required to make a successful blend. Take shellac polish for example and the 'pound cut ratio'. Sure, it's helpful but not an exact science as there are far too many variables in the equation such as ambient temperatures, humidity, age of product and of course the quality of each ingredient. The biggest factor in this case will typically be poor quality methylated spirits or denatured alcohol for dissolving the shellac flakes. There are some alternatives as well and we will look at these some other time. For now though, if you are reading this outside the UK do some local research into the grades of denatured alcohol. The term is a catch-all phrase that unfortunately doesn't translate accurately across borders. 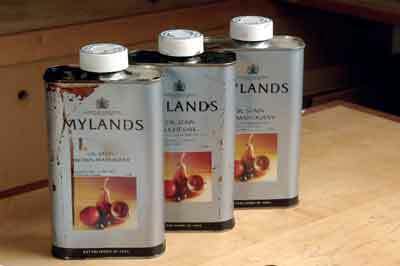 In the UK I've been using methylated spirits manufactured by Morels from a specialist polishing suppliers. When used to make my own shellac polish the alcohol content is sufficient to negate the need to remove the oil from the surface of the polish at the end of the process. In short, my advice is to contact a specialist supplier and avoid the 'sheds' for any of your ingredients. They may not be up to scratch. These recipes are measured in weight which can be a convenient way of calibrating liquid and solid ingredients. A cheap plastic measuring jug is perfect for measuring the solvents. Conveniently, the hard ingredients are often sold by weight so it's a simple case of dividing the block or pack into the portion sizes you require when you get it and reserving the rest for another day. It may not be as accurate as using a set of digital scales but as long as you use the same jug for any subsequent blends you can note any adjustments required to alter the characteristics of the wax. Removing items from the domestic kitchen for use in the workshop is never a good idea in my experience. Don't try and measure the solid ingredients in the jug if you have broken them up or grated them. They will have increased in volume. 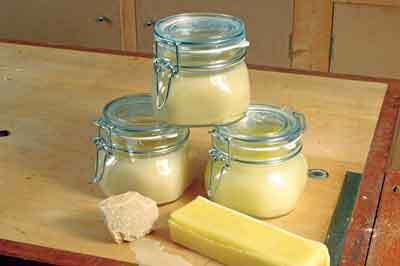 Be mindful of the total volume of finished paste wax you will end up with and make provisions to store the amount you make. Should this be more than you require then simply halve the quantities in these recipes. To give you an idea, if you follow these quantities you will end up with roughly the equivalent of two to three small tins of shop-bought wax. If you have access to an old hot glue pot then you're set to go, just make sure it's clean and not harbouring flaky bits of glue. If not, then you can make your own bain-marie from a saucepan and a cheap paint kettle. 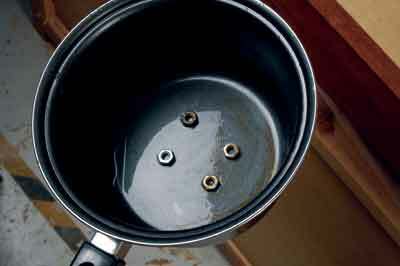 Place some suitable metal objects in the bottom of the pan to keep the kettle suspended in the water. I use a handful of M8 nuts, and bring the water to a gentle simmer before turning down the heat on the hot plate. The harder waxes generally melt at a higher temperature so add these to the kettle first. 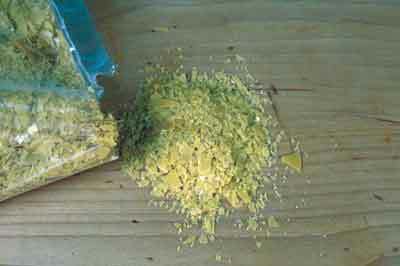 You can speed up the melting process considerably if you break the solid ingredients down into shavings or flakes. 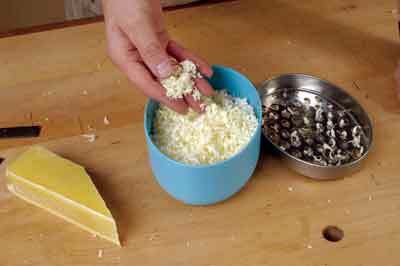 Softer waxes can be grated on a domestic cheese grater and the harder ones broken down with a small hammer or suitable edge tool. When the solid ingredients have turned to liquid in your kettle, remove the saucepan from the hot plate and add the solvents, stirring all the time. 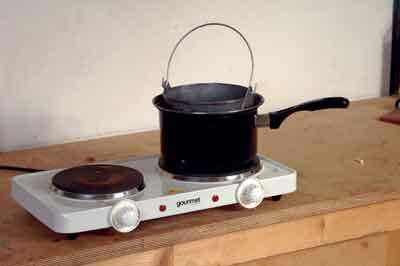 You can return the saucepan to the hot plate if you are working in cold temperatures. The mixture will remain molten for quite a while and long enough for you to decant into lidded jars. As it cools, the mixture stiffens and becomes a semi-solid block or paste. You can further change the properties of your wax by adding either pigments in the form of powders that will be held in suspension in the paste or by adding oil stain as part of the total solvent content. You can also create a burnishing paste, sometimes referred to as a matting wax, by adding a fine abrasive to the mixture; Rottenstone for a coarse cutting paste and pumice or French chalk for a finer one. These are best added to a softer wax and can be added to the blend afterwards. These are particularly useful for blending repairs or new areas of polish with older ones. Wax polish sits on the surface and contrary to a lot of sales material, it doesn't feed the wood. If you're putting it onto bare wood the solvent in the paste will darken it slightly but when it's dried out all that's left is the wax. 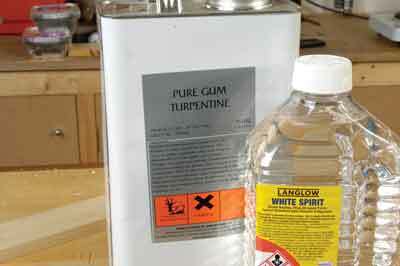 Some solvents like white spirit dry quicker than others but eventually they all dry out and the result is the same. 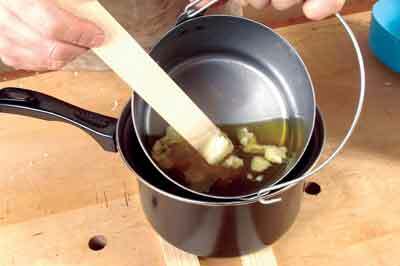 If the wood already has some kind of finish such as shellac or varnish the solvent won't darken the wood. 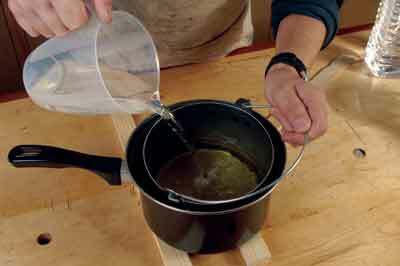 You cannot build up layers of wax in the same way you might increase the number of coats of shellac, hard wax oils or varnish. 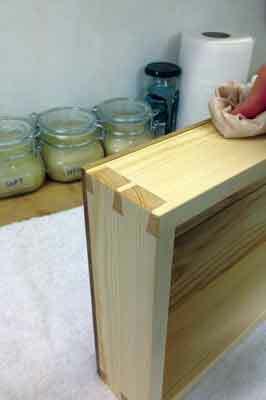 The solvent in the fresh wax will soften the existing wax film and result in a blend all of its own. The take-home message here is if you want to get the best out of your own blend of wax, remove any wax that is already on the surface with a solvent such as white spirit or turpentine. 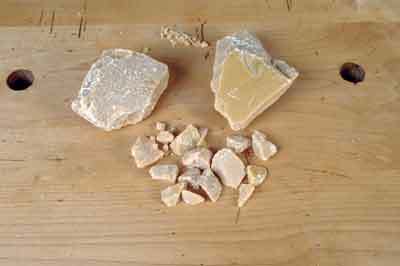 While it's probably impractical to attempt to produce your own turpentine or white spirit it is quite possible to harvest your own beeswax or acquire the raw material locally and prepare it for use. Be warned, it's a messy business as raw beeswax is littered with contents similar to those found in a hairy biker's beard, i.e. bits of bee, plant life and remnants of their last meal. 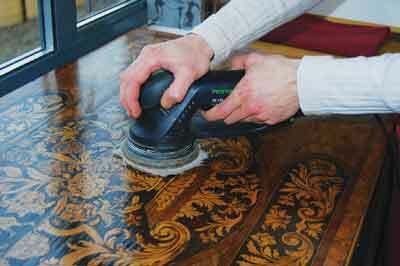 The conservator and expert in historical furniture techniques Don Williams has published his experiences in this field on his website - www.donsbarn.com. Do have a look and bookmark the page as Don has taken the subject to a new level and after more than 40 years is only partway through his research. Collectively you, me and Don are not going to put the likes of Liberon, Fiddes and Mylands out of business but we will certainly reclaim some of the traditional craft knowledge that is as much under threat as the honeybee. Still want to know more? Then check out the blog for a fourth recipe suitable for use on metal.